Drew University Professor and CPRE Researcher Pat McGuinn provides an overview of the work that states are completing to get in their Every Student Succeeds Act State Plans. Click here, to download Joanne Weiss and Pat McGuinn's working paper, "The Evolving Role of the State Education Agency in the Era of ESSA and Trump: Past, Present, and Uncertain Future." In a partnership with National Association of State Board of Education, the CPRE Knowledge Hub presents this series on ESSA State Plans. Drew University Professor and CPRE Researcher Pat McGuinn sits down with four National Association of State Board of Education members to talk about their current thought processes when it comes to the drafting of the state plans for the Every Student Succeeds Act. He interviews State Board members from Washington State, Arizona, Nebraska, and Ohio before providing a recap of the series with CPRE Co-Director Jonathan Supovitz. After checking out the series, head over to the resources tab to learn more about ESSA State Plans, or head to KH Conversations to join the discussion. 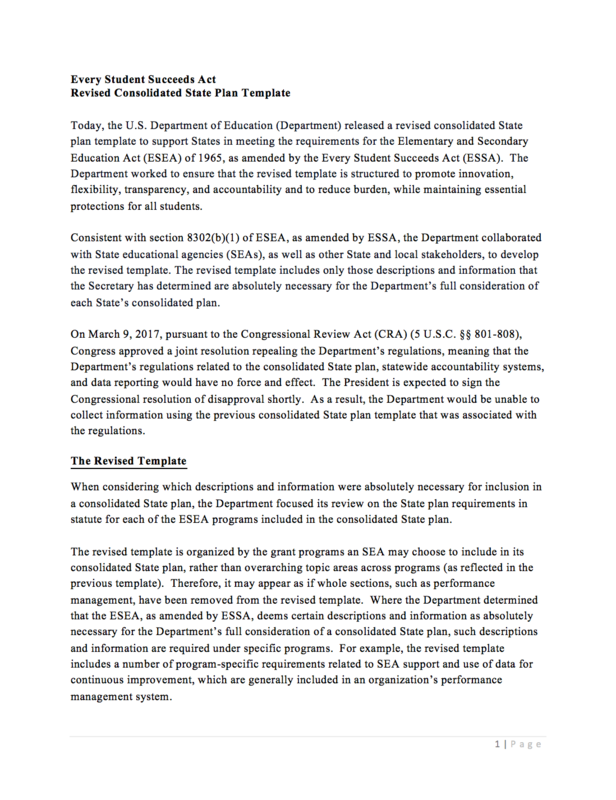 If you want to learn more, check out the following federal and state level documents and resources regarding ESSA, as well as research on how states have navigated other federal statues such as No Child Left Behind. The Revised State Template for the Consolidated State Plan was issued by the Department of Education in March 2017. The revised template includes three new requirements: (1) including goals related to english language proficiency and challenging academic standards, (2) outlining the process of awarding grants to LEAs through the Student Support and Academic Enrichment program, and (3) explaining the methods for providing counseling and assistance required through the McKinney-Vento Education for Homeless Children and Youths program. 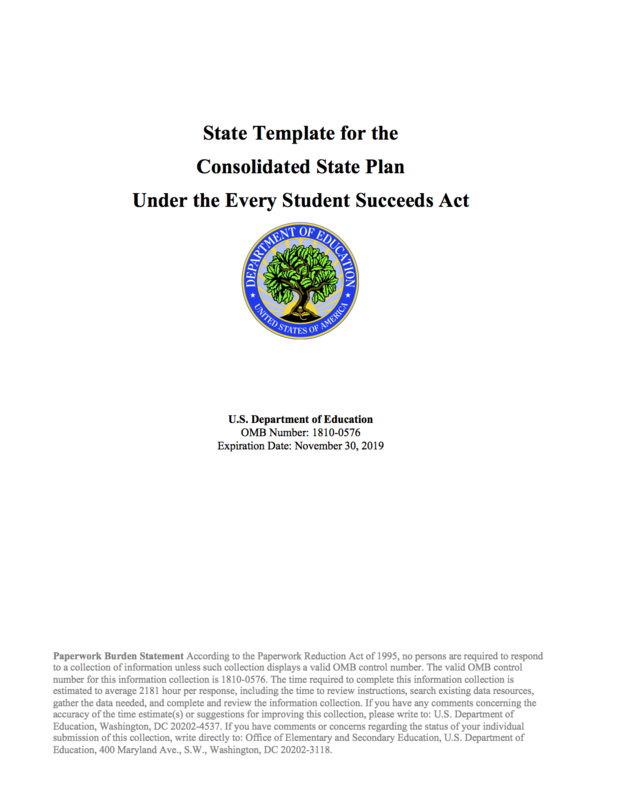 The United State Department of Education provided a State Plan Fact Sheet to provide additional clarity regarding the revised consolidated state plan. 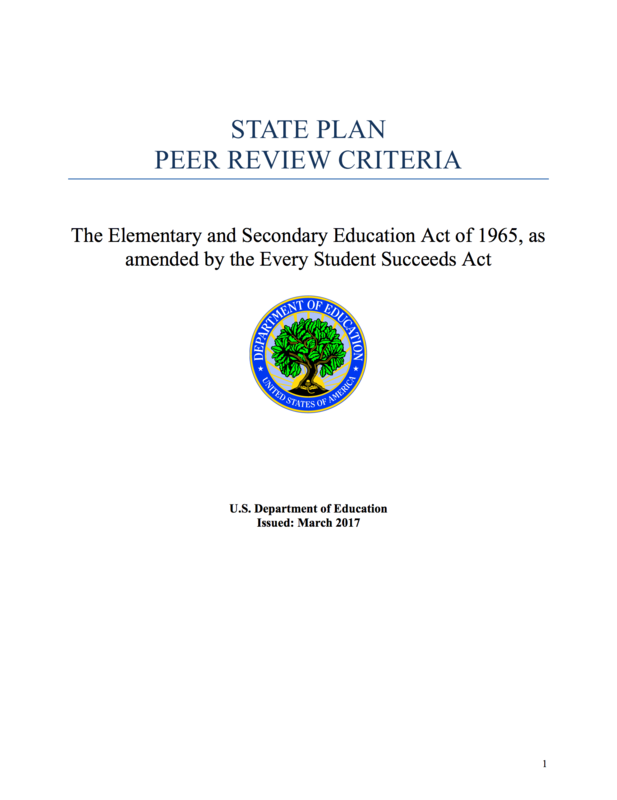 This document, provided by the US Department of Education, gives guidance for those engaging in peer reviews of their state's State Plans. For each section of the Consolidated State Plan, the Department of Education calls for peer reviewers to see if the plan answers specific questions. Nebraska is using the attached resources to help develop their State Plan in time to submit it to the Department of Education by September 18, 2017. 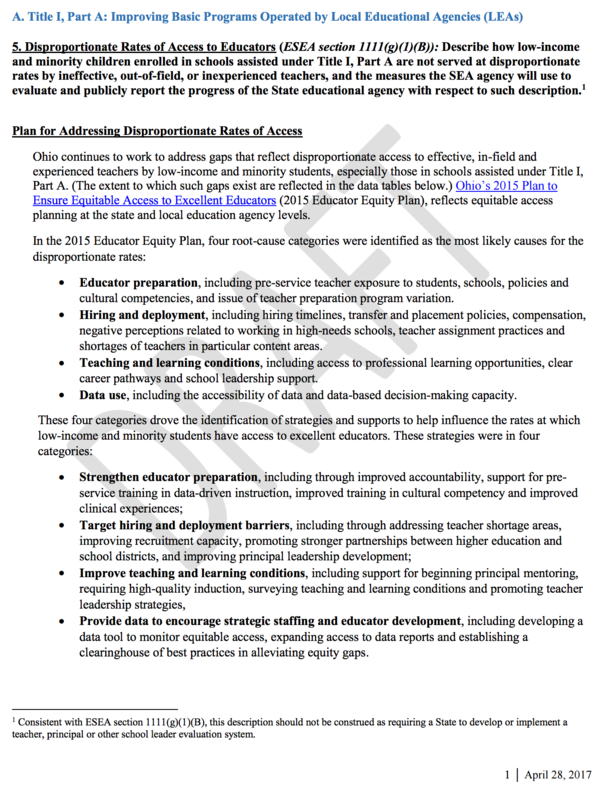 Ohio’s State Plan Outline provides insight into how the state plans to meet the requirements of the Every Student Succeeds Act. The final plan was submitted in April. 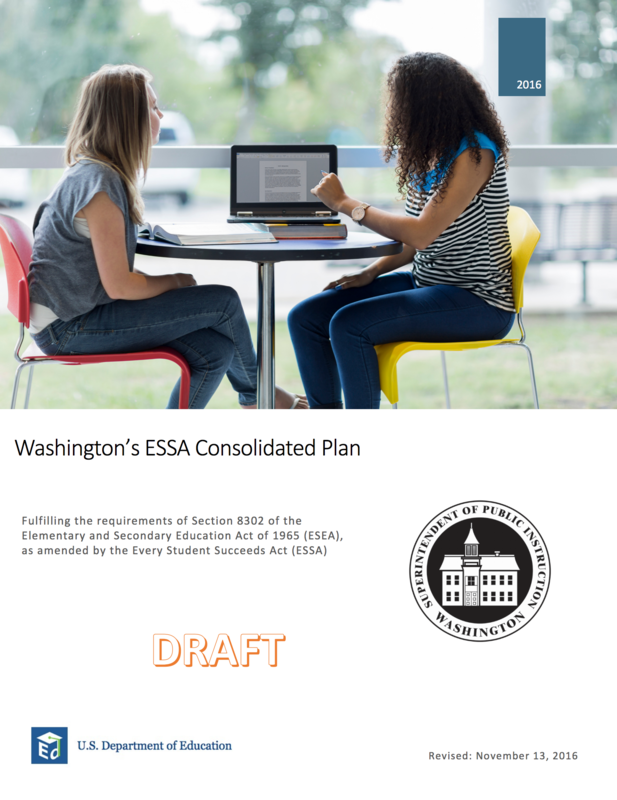 This draft, revised November 13, 2016, details how Washington State will fulfill the objectives of the Every Student Succeeds Act. 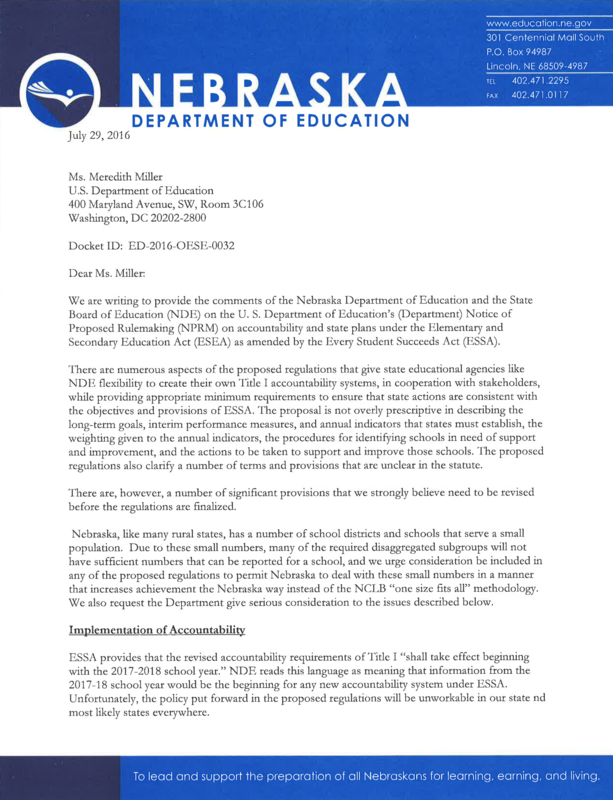 The state has not announced their timeline for submission, but according to requirements from the United States Department of Education, it can be no later than September 18, 2017. 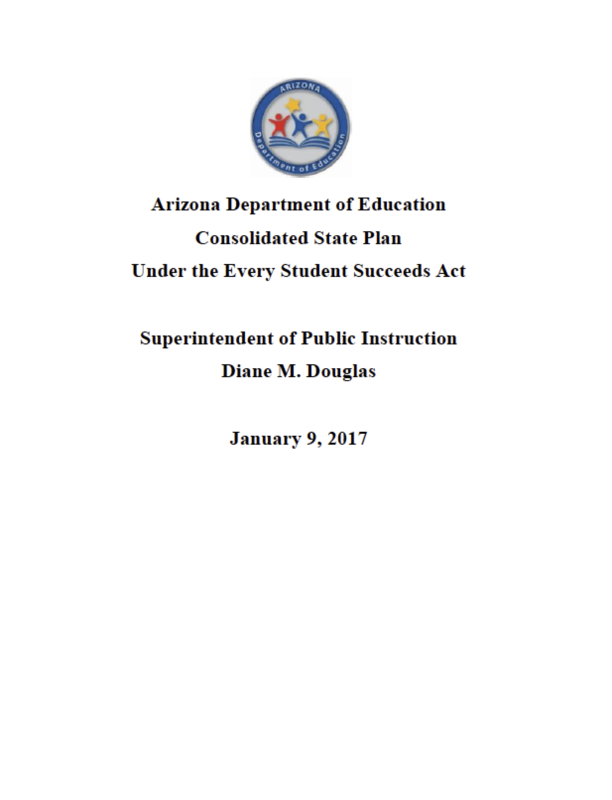 Arizona’s State Plan details the manner in which the state intends to meet the requirements of the Every Student Succeeds Act. It was submitted to their governor on January 9, 2017. 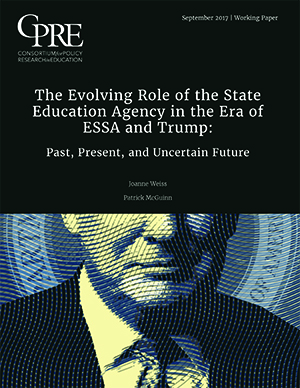 Click here, to download the interactive PDF of Joanne Weiss and CPRE researcher Patrick McGuinn's working paper, "The Evolving Role of the State Education Agency in the Era of ESSA and Trump: Past, Present, and Uncertain Future." Stephani L. Wrabel, Andrew Saultz, Morgan S. Polikoff, Andrew McEachin, and Matthew Duque consider the decisions made in state's accountability systems based on a given state's political climate, resources, and demographics. 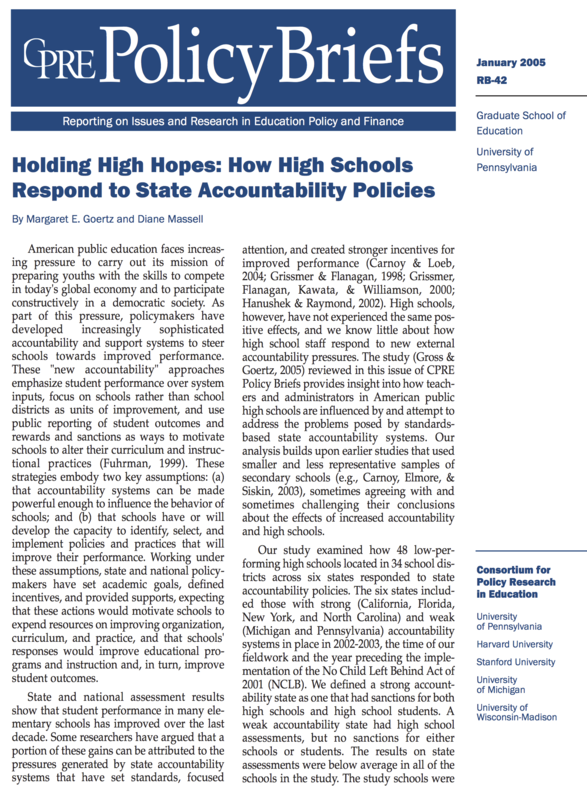 The paper finds that a state's accountability system can be impacted by its past financial resources, political stances, and education policies. 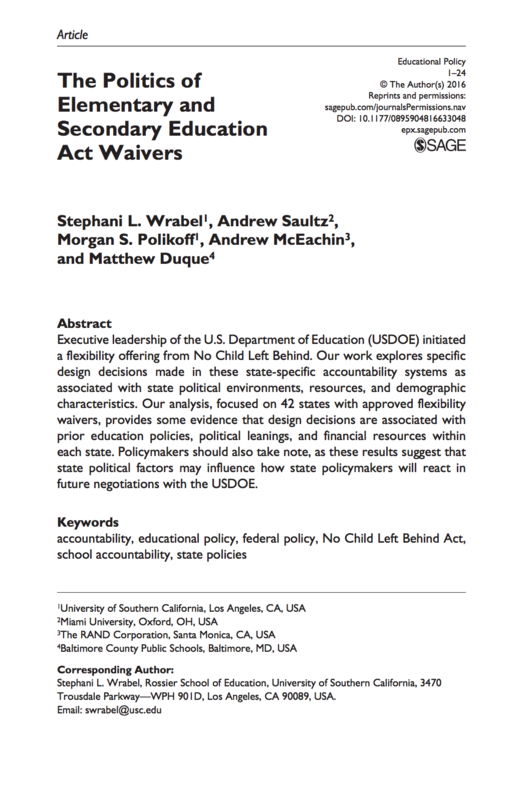 Margaret E. Goetz and Diane Massell studied how 48 high schools responded to state accountability policies under No Child Left Behind. 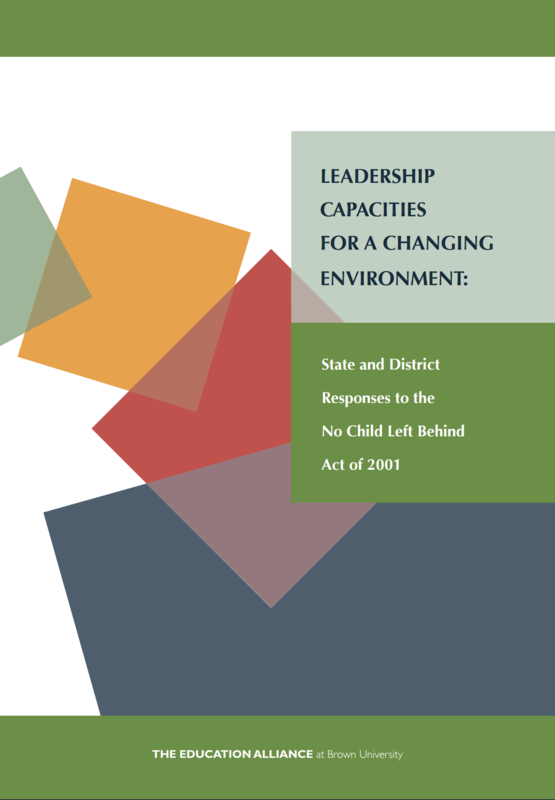 Their findings – that accountability systems work best when states grant their districts increased capacity to implement them – are relevant, as, under the Every Student Succeeds Act, states can plan their accountability systems with greater flexibility. 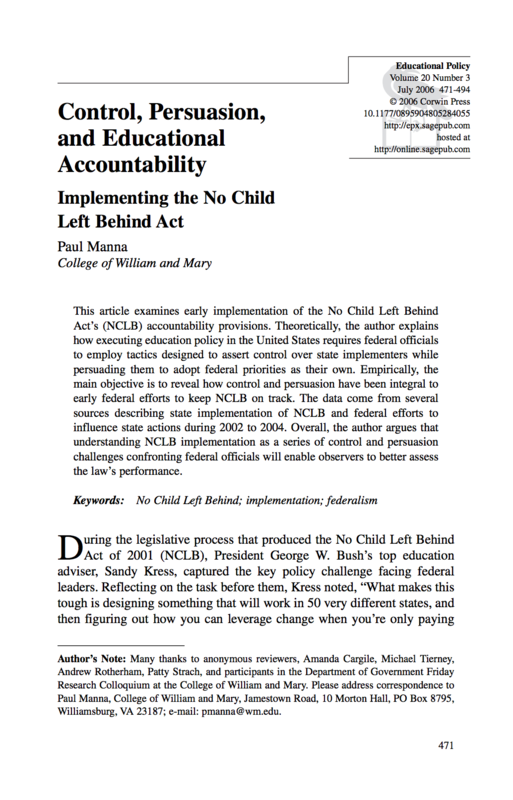 Paul Manna analyzes the implementation of the No Child Left Behind Act, taking an in-depth look at how the federal government had a strong hand in the accountability systems that were created at the state level. 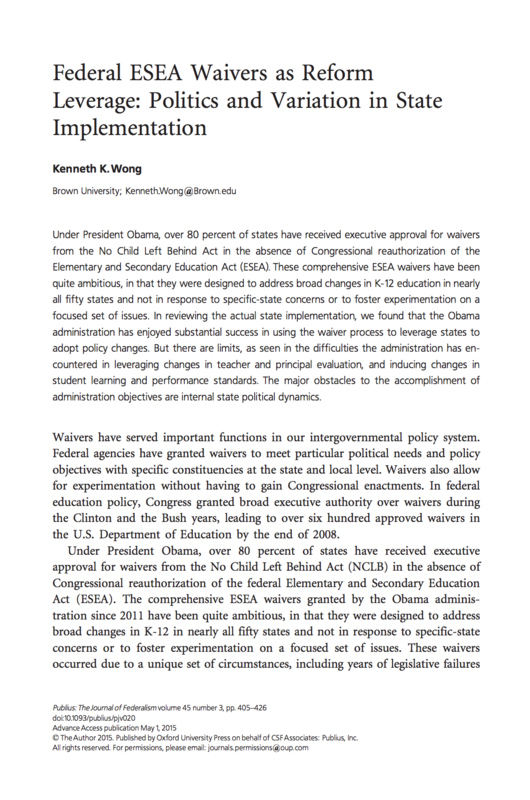 Kenneth Wong looks at how the waiver process to opt out of the No Child Left Behind Act varied by state, with a focus on the impact of the waiver process from the federal government's perspective, and the challenges that states faced.